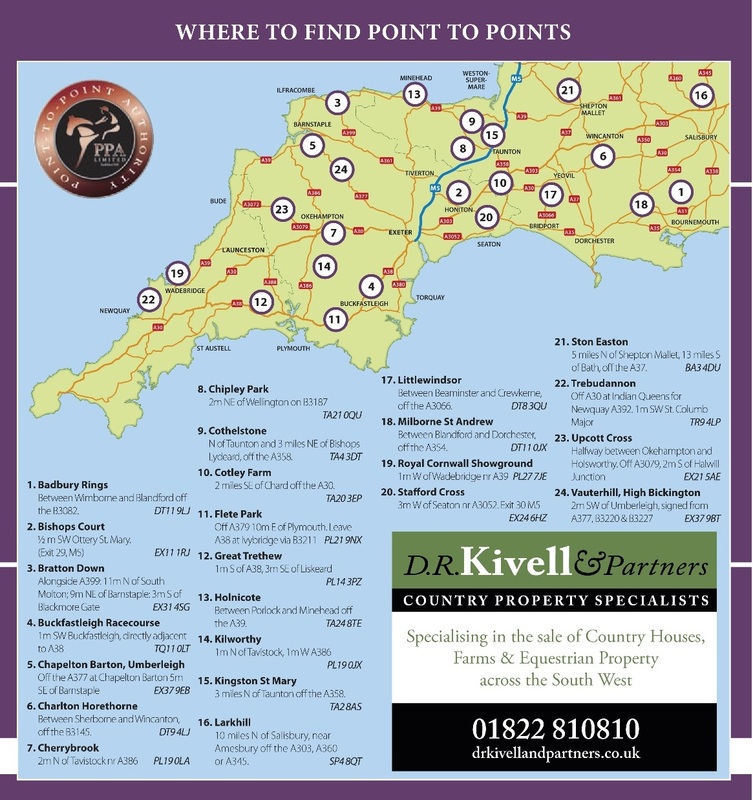 The first of three point-to-points scheduled to take place at the stunning location of Bratton Down is this coming Sunday May 20th. Pony racing which is sponsored by Gerald and Victor Dartnall, heads up the action at 12.45 with the main seven race card following at 2pm. 112 entries have been received. With championships hotting up in this the last month of the season, the racing will be even more competitive. Trainer Jill Dennis will be hoping that debutant Tide Times will run well in the Nancekivell & Co sponsored Open Maiden race for four to six year olds. Shanoule Wood could be the main danger here from outside raider Hannah Clarke’s team, having run six lengths second in a Point at the Old Surrey track last month when sent off favourite that day. Just Another Vodka out of the Nicola Martin yard catches the eye in the Restricted race, having hacked up by 15 lengths in a maiden at Flete Park earlier this month. He could come up against Hugos Horse who was a recent winner at the Axe Vale meeting and from Bruton based trainer Rose Loxton who is in great form this season. This race has been sponsored by Brewer Harding & Rowe Solicitors based in Barnstaple. Moonlight Flyer having run two lengths second at Little Windsor, Ballyjim ran second at Larkhill, Dragon de la Tour’s recent third at Holnicote, and Baby Sherlock gaining a third at Flete Park are some suggestions which could go well in the Bob Pittard Bookmakers-sponsored Open Maiden race. 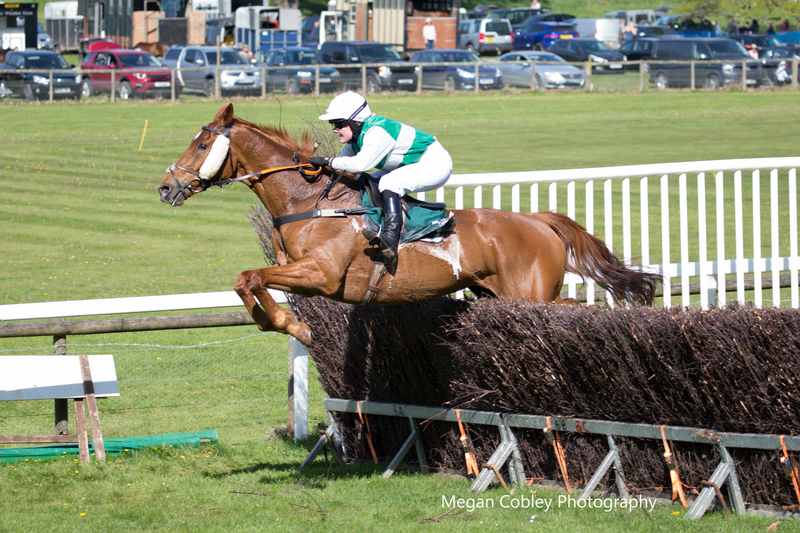 Fly West a recent winner at Axe Vale for the Ed Walker team, and Tom Barton a Badbury Mixed Open winner for trainer Sally Alner, are just two suggestions which could fight out the finish in the Phillip & Sarah Hobbs-sponsored Conditions race. 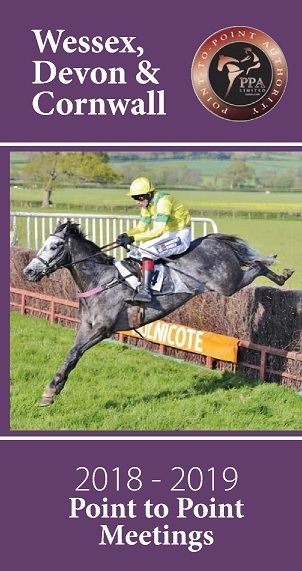 Blackwater Bramble (Jade Barber) could be in the mix but would need to improve on his second to Fly West at Axe Vale. Also recent Holnicote winner Angles Hill for the Lewis family would be a popular winner here if they can follow up on their recent five length win at Holnicote. Brends Hotel sponsor the Mixed Open race which looks really hot with previous NH three times Hurdle winner Rouge Devils entered. Now with trainer Ed Walker, Rouge Devils ran well at Holnicote under Will Biddick when finishing one length second to Pink Eyed Pedro. The Walker team have the option of running Miss Gotaway who also holds an entry, already on a treble so far this season including a Mens Open race at Bishops Court also under Will Biddick. Trainer Alan Hill has the veteran Consigliere entered, a winner of twelve points to date, must be respected if making the journey. Ella Pickard’s Cinevator has won at this track in the past two seasons and could follow up on their Vauterhill win by taking the Langdon Transport-sponsored PPORA Novice Riders race. Miss Gotaway also holds an entry in this race and goes well for young jockey Abbie Hughes. Finally up is the James Pryce Tractors-sponsored Intermediate race in which suggestions are Ryves Rocky (Les Jefferd) having won at both recent Flete Park meetings, and Steel Brush also a dual winner recently at Holnicote and 15-length winner of the Restricted at Flete Park in April for trainer Keith Cumings. This promises to be a lovely family day out set in a great location with a view of Exmoor across the valley. Entrance to the course is £10 per person to max of £30 a car load, with children under 16 free. Dogs welcome but must be on leads at all times. On course facilities include hot and cold refreshments, bar, bookies and a number of trade stands. Location is at Bratton Fleming 9m NE of Barnstaple on A399, 11m North of South Molton – EX31 4SG Early bird tickets can be purchased from https://www.futureicticketing.ie/client/brattondown . Check out pointingdc.co.uk and FB page for further info.